Sunday Worship is a central part of our life together.We meet at three different times during the day. Each service has its own character. There are two morning services, and one evening service. We use a wide range of songs and hymns drawing on the best of old and new. Each service includes the reading of scripture and prayer. Core to our worship is the preaching of God’s word, which is designed to help Christians live out their faith in the world. Our style of worship could be described as informal, warm and enthusiastic. 10.30am & 6.30pm services are recorded on DVD and copies are normally available for loan or purchase. The talks are also recorded for download as MP3 files. For more details see our teaching page. Our 9am service is a quieter service of prayer, worship, teaching and communion. The service usually lasts one hour, and we sing from Mission Praise books. Our 10:30am service is our family worship service. It’s a larger service than the other two, usually with about 250 adults and children of all ages. We are usually together for the first part of the service, then there are children’s groups available after about 30 minutes into the service. Our 6:30pm service is our ‘Informal Service’. Every other month we run a ‘Worship Evening’, with time to reflect, worship, pray and listen to God, rather than following the usual service pattern. In accordance with the New Testament pattern, the baptism of believers is also a central part of our Christian life together. Baptismal services are occasions of great joy and celebration, as the candidate makes his or her profession of Christian faith and responds to the Lord’s command to be baptised. Baptismal services are incorporated into our regular pattern of morning and evening worship. 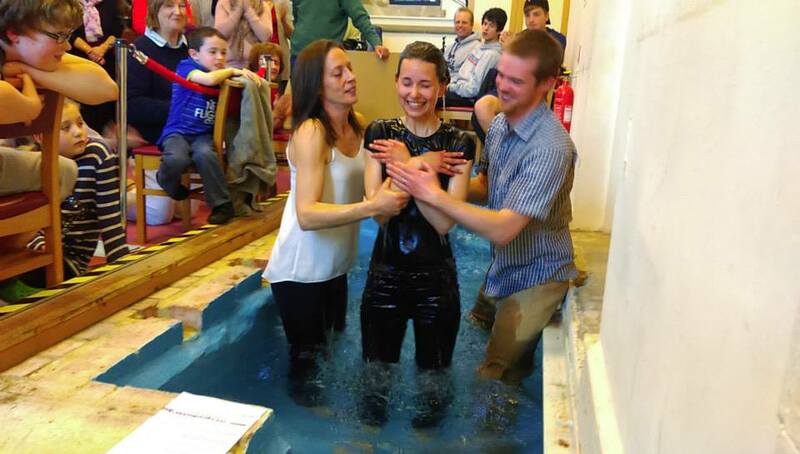 If you’re interested in getting baptised, then have a chat to one of our staff members, or email the church office.